Farmhouse Decor is so popular right now. These DIY Farmhouse Decor ideas will spruce up your home without braking the bank! 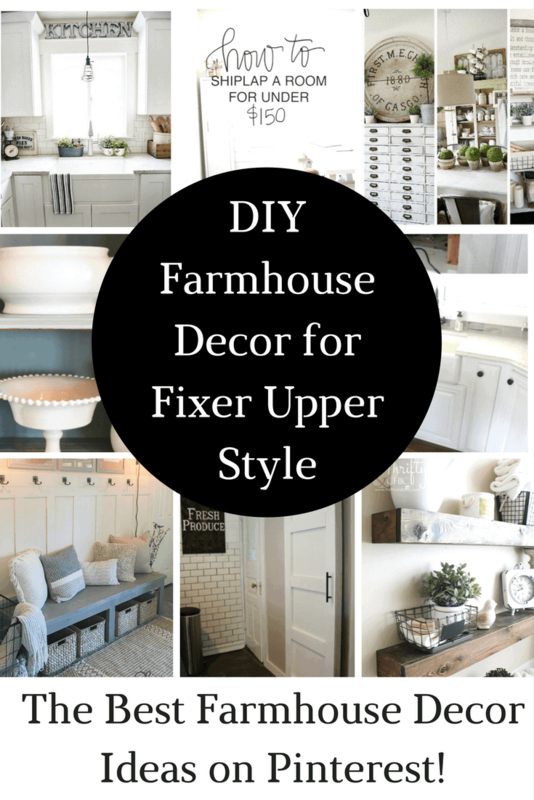 Are you loving the Farmhouse Decor look but don’t want to spend top dollar on it? These DIY Farmhouse Decor projects are just for you! It seems like since the dawn of Pinterest, farmhouse style has become more and more popular. Add in the hit show, Fixer Upper, and you have almost a cult decor following. The thing I love about it is there are so many things that you can make and folks out there have shared thousands of projects showing us how to make beautiful decor on a thrifty budget. That is a winning combination, for sure. Sincerely Sara D shares that by seeking out your local thrift store, you can find plenty of treasures that look very upscale after a coat or two of spray paint. I love that you can attain a cohesive look with things you may already have at home that might not match. This is definitely a handy trick to have up your sleeve. White dishes always look beautiful, too. 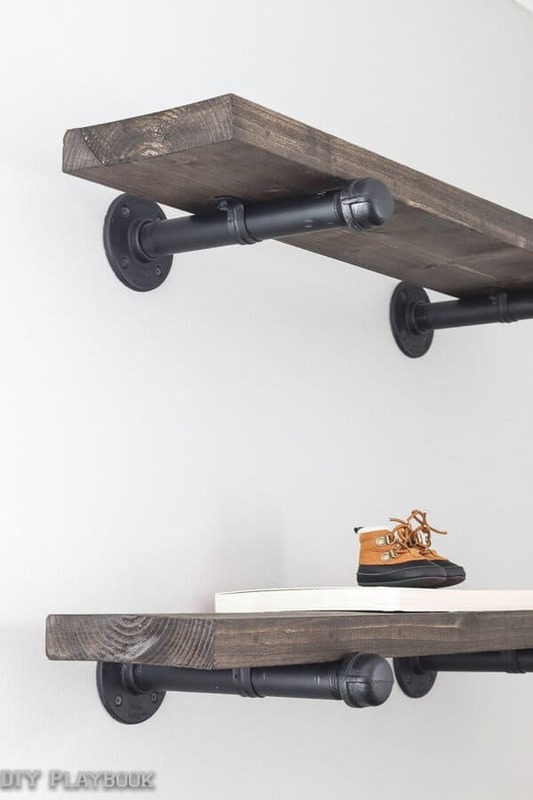 The DIY Playbook totally nailed it with this DIY Industrial Pipe Shelves – they were able to recreate the look from Restoration Hardware for about $50!! These are great for a kitchen, bathroom, bedroom, living room – pretty much anywhere! Fixer Upper Style always includes the addition of some form of shiplap. Shiplap is a wood wall treatment used in many homes these days for a farmhouse style. Whether using authentic wood or new wood it gives a new feel to a room in an instant. 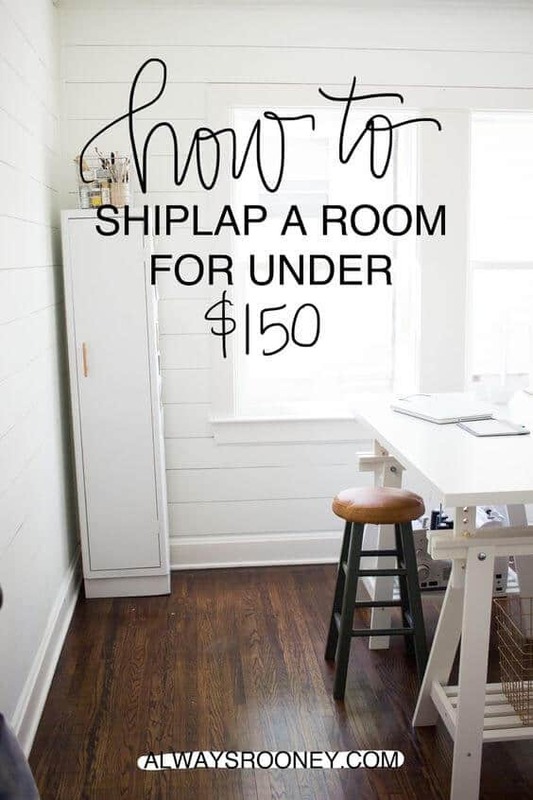 Always Rooney shares a great tutorial on how she transformed her workspace with shiplap for less than $150. It is a beautiful space and it has an older feel without the a high cost. I love these farmhouse floating shelves made by Thrifty and Chic. She made two of them for less than $10. Yes, you heard that right! With a few boards and a little time she transformed her bathroom into a place that worked well for her family. The shelves held towels and soaps and decorative items and the baskets by the tub were perfect to store large towels. She turned a ho hum bathroom wall and made it quite a stunner with storage and loads of style with the wire and raffia baskets. Christina’s Adventures shows us how to take an ordinary hollow core door and make it into a sliding barn door. Barn doors are definitely in style right now and are an important fixture in farmhouse style decor. Sliding barn doors can be a great solution in certain situations where space is at a minimum and they add so much character! I think almost every home requires a good storage bench. Somewhat of a landing place to leave backpacks and coats and a place to leave muddy shoes near the door. The gals at Shanty 2 Chic show us how to make this simple, yet fashionable bench for less than $25. 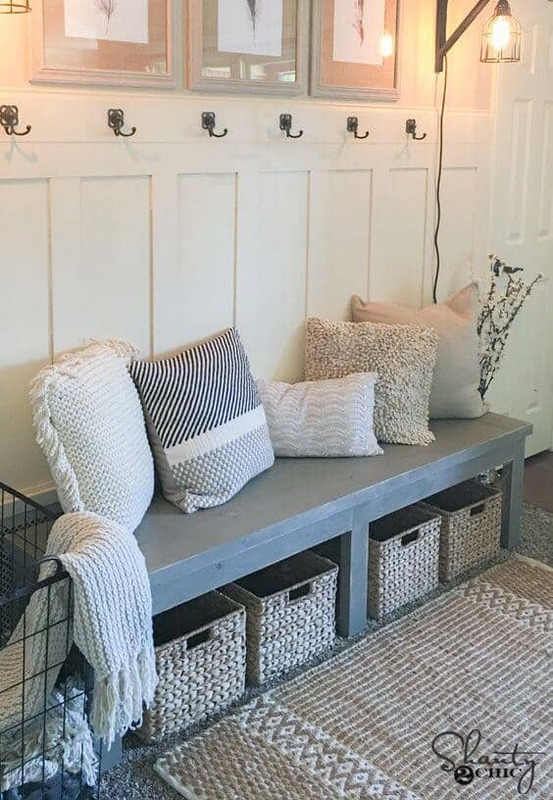 I also love the board and batten wall treatment with the hooks… so much storage potential with the oversized baskets, too. Bright Green Door shared her adventures installing a farmhouse sink in her kitchen. I love the transformation that it made, can you get over how gorgeous it is? Her journey was so much fun to follow and I applaud her for how well it all turned out and for her patience with all the steps involved. This was such a great article if you really want to know what all is involved with farmhouse sink installation. I love a good mirror transformation and this is one of my favorites. Cherished Bliss transformed and ordinary mirror with a few pieces of wood and hardware. She really wanted to make a beautiful mirror, but had a very small budget. I love how it turned out and it added so much character to this fabulous space. This is a great tutorial that you can use with any sort of mirror. Liz Marie has created the most beautiful farmhouse style home. 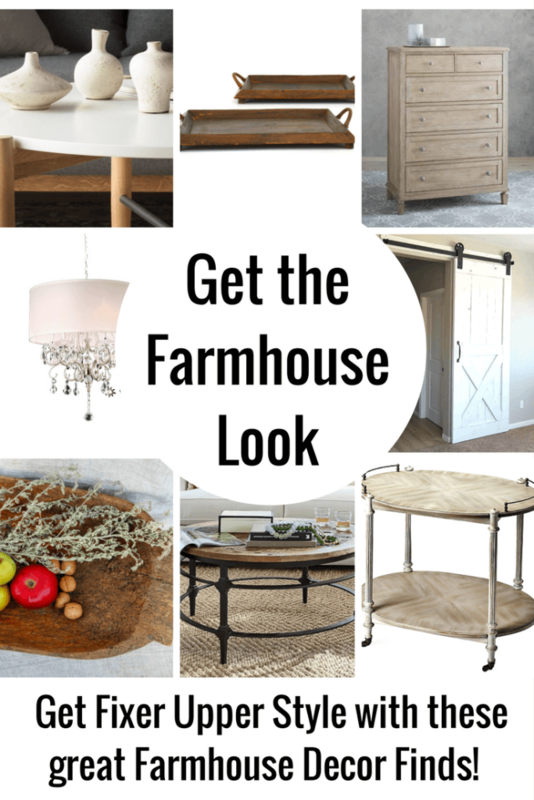 She has thought of absolutely everything and in this post she breaks it all down for those of you who would like to have a little farmhouse style added to your home. She focuses on decor items and simple additions that can make such a difference in the aesthetic of your home. She definitely has a keen eye for detail and her tips will definitely have you on your way to a farmhouse style home of your own. The only problem will be choosing which project to tackle first. I am loving that card catalog… it is hands down my favorite piece in her home. 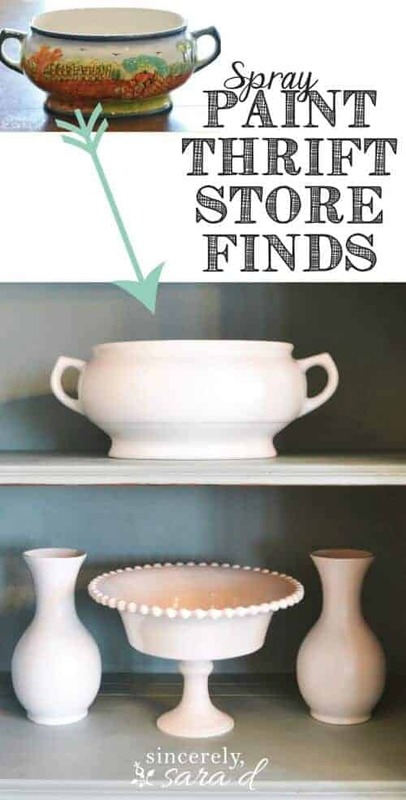 Don’t feel so much like DIY Farmhouse – how about some great finds that you can purchase and get immediate gratification! 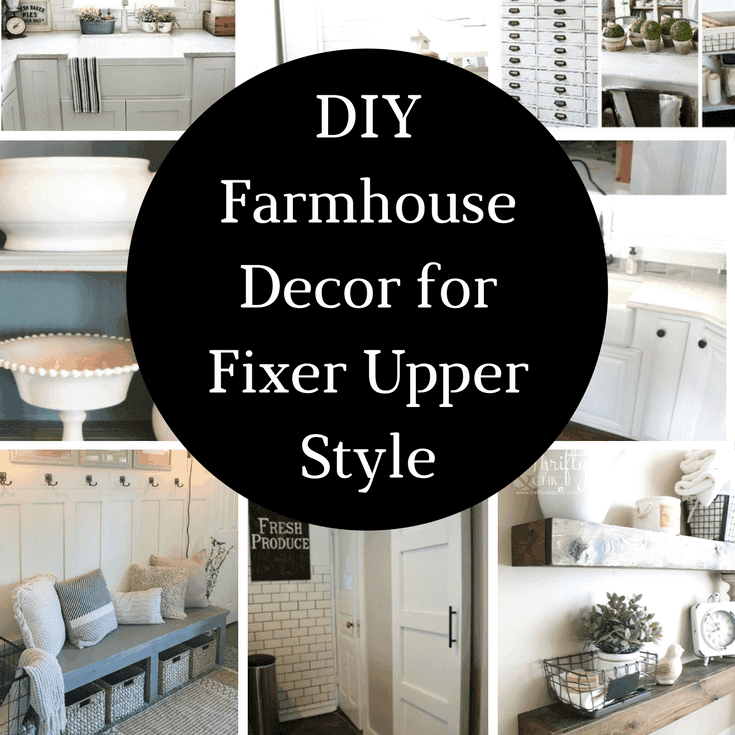 Farmhouse Decor for the Fixer Upper Style is just for you! 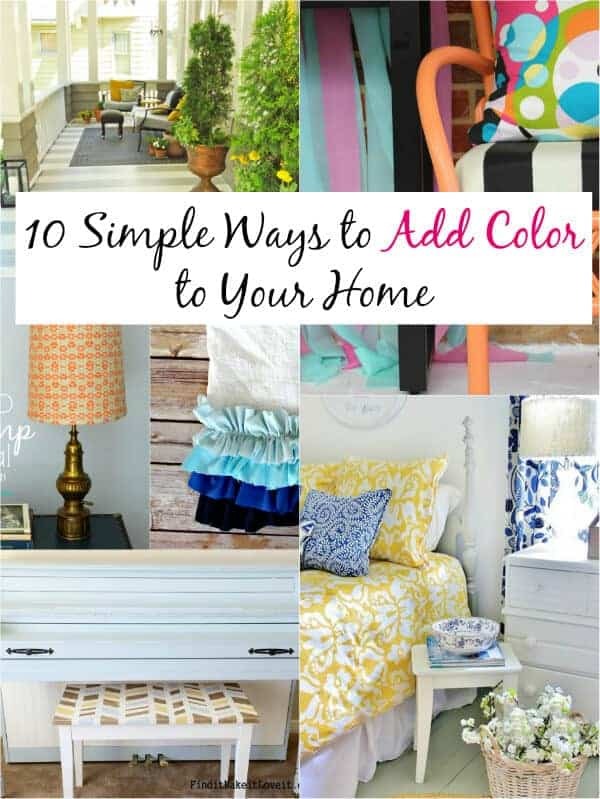 10 Simple Ways to Add Color to Your Home is a great resource of items to brighten your home with just a few simple tricks. These project ideas are fun, simple and simply beautiful. I know you will love them. I sure do! 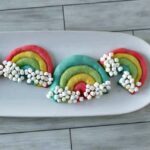 These DIY’s that you can actually do are a roundup of ideas that I loved and felt like even I with zero DIY skills could actually make. 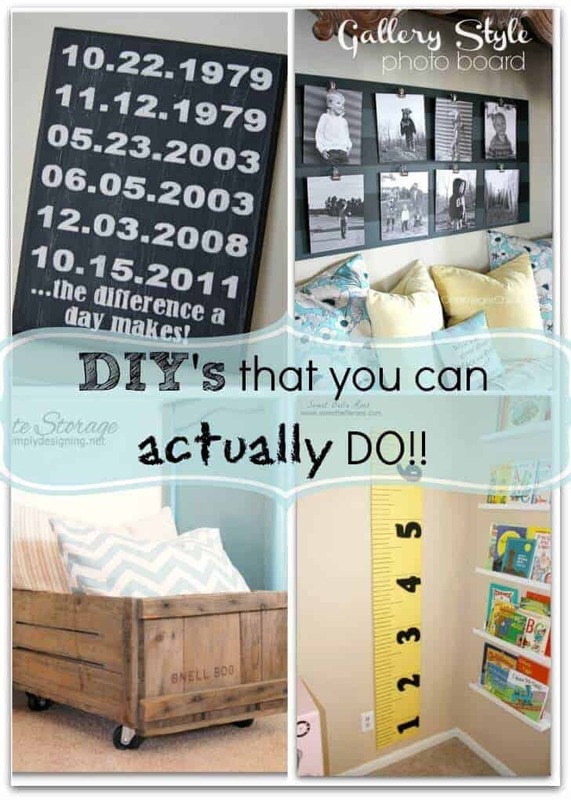 There are tons of ideas and they are all beginner level projects and would add so much to your home decor. 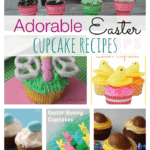 Loved all of this…..tons of information Keep up the good work! Awesome ideas! I am gutting and remodeling an entire house and looking for all the ideas I can find. My art studio is all shabby chic from a repurposed tankard desk to kitchen cabinets turned into art storage. Thanks for sharing all of your wonderful ideas! Great post. Thanks for sharing this useful post about diy farmhouse decor. You nailed it. Good job.